Emma LaRue “Emmy Lou” Holtz, 91 of Harrisville, passed away on November 8, 2017 at UPMC Northwest in Seneca. Emmy Lou was born in the village of Kiester on August 31, 1926 to the late Henry Bernard and Vernetta Mae Sutton Kiester. She was an educated woman and had studied Journalism at Wheaton College in Chicago before leaving to start her family. She married her beloved husband, John E. Holtz on June 26, 1948; he preceded her in death on June 16, 2015. Emmy Lou always loved to work, having worked for 25 years as the business manager for Slippery Rock School District. After leaving the school district Emmy Lou worked for Grove City Medical Center in the business office. 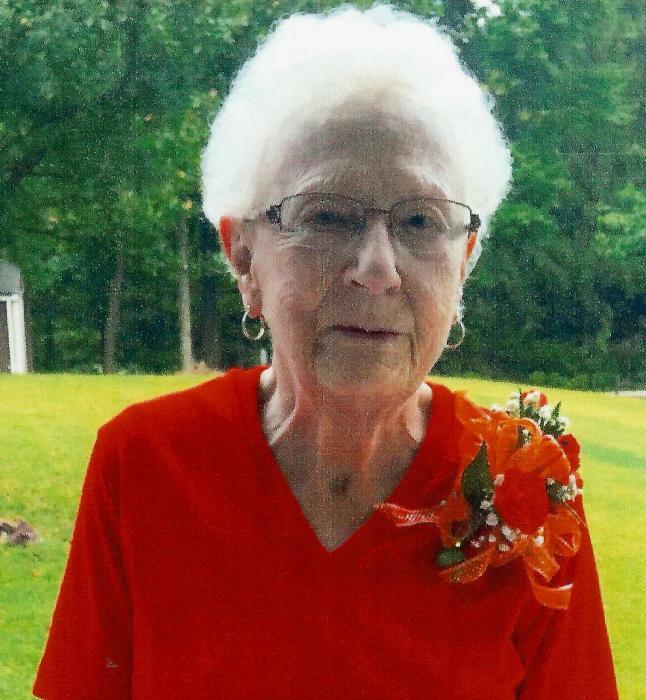 She was the writer of the Harrisville Column of the Allied newspaper for over ten years and enjoyed every minute of it. She was active in the Harrisville Women’s Club, the Harrisville Community Day Planning Committee, and very active in her church. Emmy Lou was a longtime member of Rocky Springs Presbyterian Church, she was very active serving as a Sunday school teacher, helping run vacation bible school, creating the church bulletins, writing the history book for the church, and being an active member of Women In the Church “WIC”. She loved to crochet and making mats, doilies and various other items from recycled plastic bags. Emmy Lou was an avid reader and loved researching history and authored many books about the Kiester Family and the Civil War. Emmy is survived by her two sons, Martin Holtz and his wife Jennifer of St. Louis, MO, and George Holtz and his wife Sue of Slippery Rock, 15 grandchildren, 7 great-grandchildren, and 2 great-great-grandchildren, a sister Louise Baseler of Grove City, numerous nieces and nephews, and her caretaker, Gayle Crawford. In addition to her husband and parents, Emmy Lou was preceded in death by her sisters, Margaret “Peg”, Betty, Mary Ellen, Anna, and Amelda “Spud”, and her brothers James “Jim” and William “Bill”. Funeral Arrangements have been entrusted to Jamison Funeral Home, Inc. 117 N. Main Street Harrisville, where family and friends are welcome from 4 pm until 7 pm on Sunday, November 12, 2017. Additional visitation will be from 9 am until 9:45 am on Monday, November 13, 2017. A funeral service will follow at 10 am on Monday at the funeral home with the Rev. Scott Fleming, pastor of Rocky Springs Presbyterian Church, officiating.